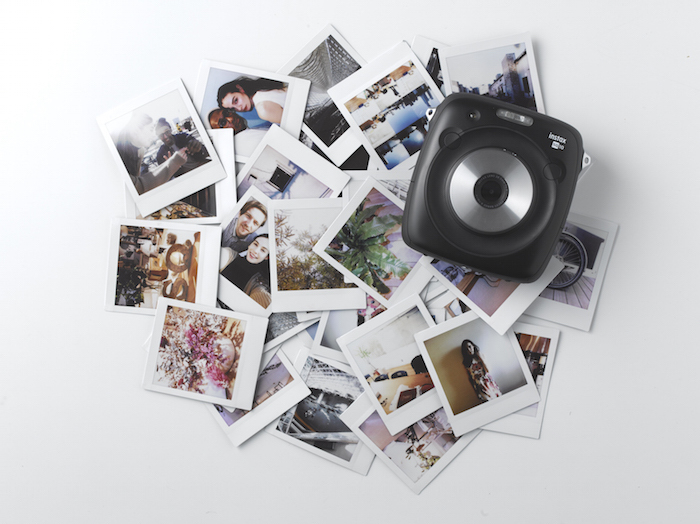 Fuji’s Instax series has been incredibly popular since it was brought back to life in the US back in 2010. Just recently, Fujifilm updated the Mini 8 by launching the Mini 9 – both of which feature the popular credit card-sized prints. Fuji previously teased us with the tidbit that it was going to give us a square format in the Instax line and now it’s here – the Instax Square SQ10. The SQ10 is a bit of a different animal from the Instax cameras we are all used to. While the SQ10 gives us the ability to have instant (square) photos in our hands in a matter of seconds, it is a digital camera too. 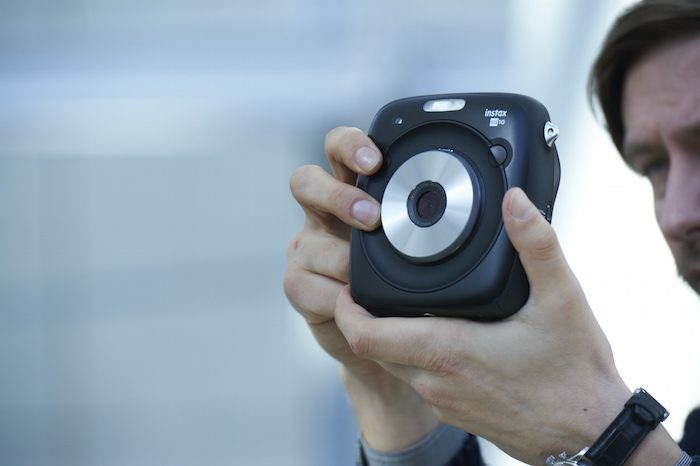 The new design is what Fujifilm calls its “hybrid Instax system.” The new system integrates a digital sensor with an Instax format film dispenser. According to Fuji, these new technologies allow the SQ10 to take brighter photos in low-light conditions, such as indoor and night scenes. Additionally, close-up shots from a distance as close as 4-inches are possible, along with new functions like automatic exposure control, facial recognition and autofocus. On the back of the camera, instead of a viewfinder, we now get a 3″ TFT LCD monitor, along with an operation dial and several feature buttons. Using the cameras new features, we can choose from ten different filters, vignette control and brightness adjustment. 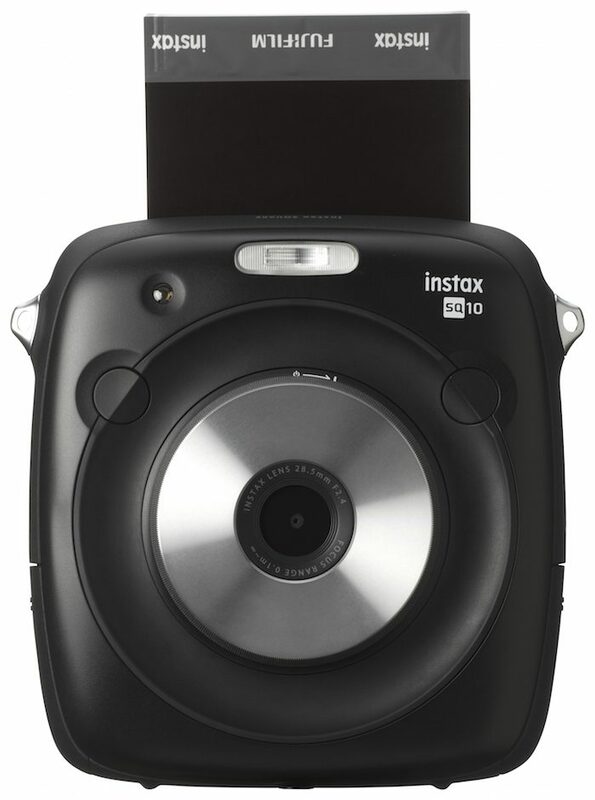 You will be able to edit and crop your photos and then “print” them to your Instax film on demand. One of the great features I can see with the SQ10 already is the ability to print multiple shots. That said, I feel like a little bit of the magic may be lost on the digital side. My wife, who loves the Mini 8, is head over heels for the new SQ10. So, I may just be holding onto nostalgia – and I’m still upset about the loss of Fuji’s FP-100C last year too. The SQ10 will save its (nearly) 4MP images to internal memory or to a microSD/microSDHC card. You can then, of course, save them to your computer for archival or further editing. Of course, the other big feature that headlines this camera is the addition of the Instax Square format for a 1:1 aspect ratio. It’s like holding an Instagram photo in your hand. I guarantee you that there are kids today who will think Fuji got the idea for a square instant print from Instagram… just wait for the memes to start. Finally, all of the new digital features come at a significant price increase over the previous analog-only Instax models. 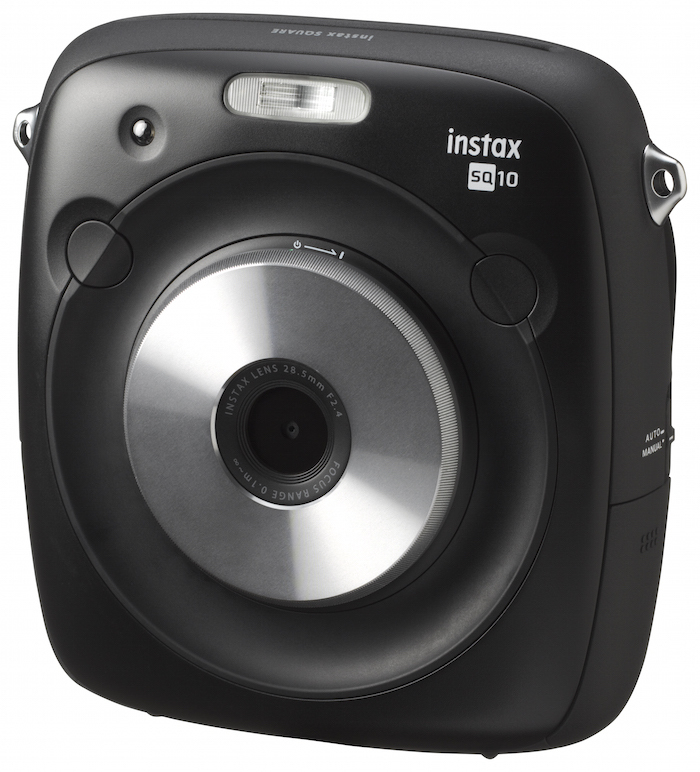 The Instax SQ10 retails for $279.95 (compared to $60-$70 for the Instax Mini 8 & 9) and will ship in May. 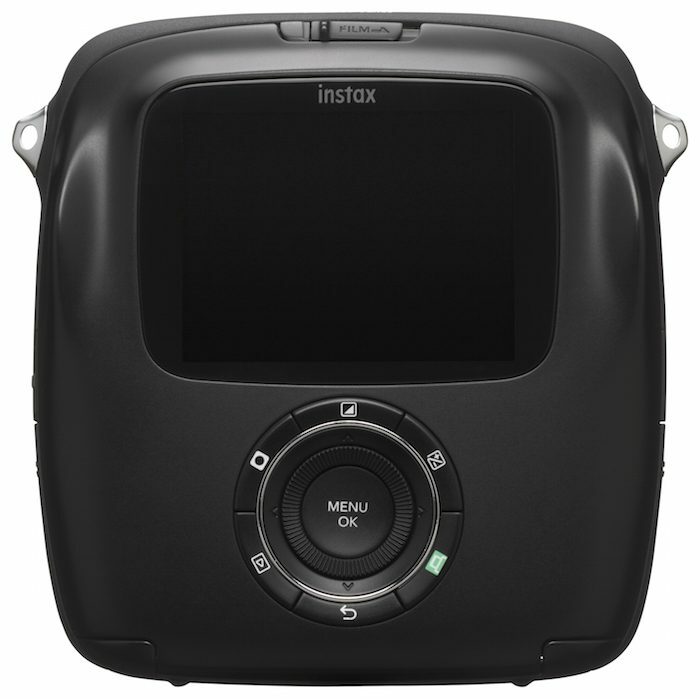 Instax Square film will also be available in May for $16.99 per pack. Can’t really see that this is gonna sell many units at that price level. It is basically a teen camera, and they all have their cell phones. And certainly most do not have $279 to spend on this. Just my thoughts. Nice idea though. Just too expensive. It’ll be interesting. I’m pumped for the square format and I hope they’ll bring a purely analog version out soon as well. I thought the Instax re-launch in 2010 would flop. That’s one of my biggest misses to date. As you said though, there is a big difference in price between this and the base Instax Mini line.